What could be better than getting a foot in the intelligent lighting scene without the need for wires, electricians, and lengthy installation processes? Well, we can actually think of a few things in all honesty, but if the Philips Hue range of intelligent lighting has been on your radar for a while, then the official introduction of the Hue Wireless Dimming Kit should spark excitement. The latest product to compliment the Hue range will be the cheapest yet and could act as an extremely appealing “entry level” kit to get individuals interested in what Hue has to offer. 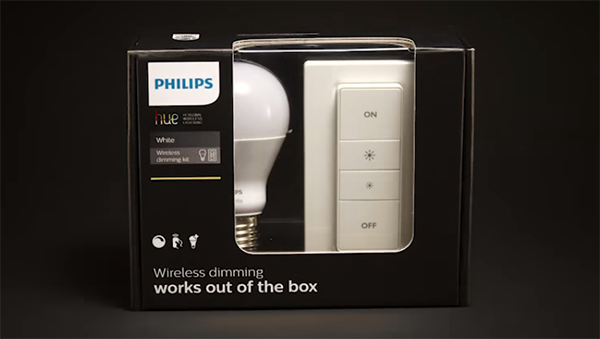 Philips is promoting the latest Hue product as an ‘installation-free’ dimming lighting system, and is one that exists as the “only dimmer switch that works out of the box”. That promise essentially means that any household or place of business is able to experience the sophistication and elegance that a dim lighting presence can offer. It’s also an extremely important added benefit that the Hue Wireless Dimming Kit doesn’t require alterations to existing lighting circuits, nor does it even require the Hue bridge that has typically been needed to connect the company’s other Hue products to the home’s network. 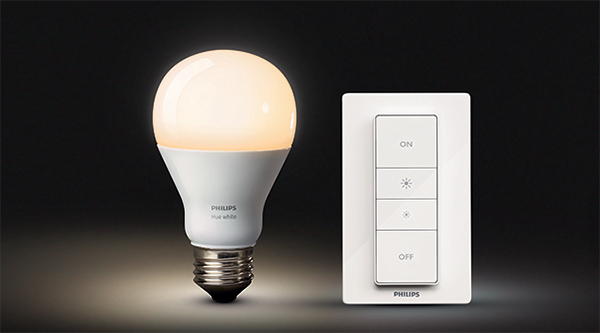 Each purchased Hue Wireless Dimming Kit also comes with a Philips Hue white bulb, as well as a wireless Hue dimmer switch that offers a versatile control. The versatile nature of the accompanying switch means that it can be used as a handheld and highly portable remote control, or can be fixed to a wall or any other surface magnetically, using a wall mount. 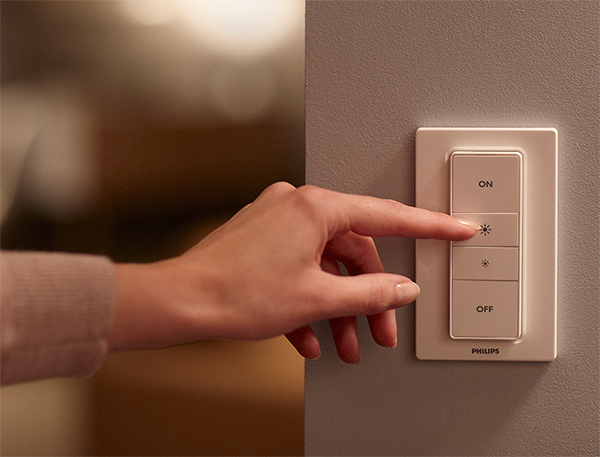 The dimmer switch is also part of an extensible system that allows up to ten individual lights to be added to it throughout the home. The accompanying white bulb produces 806 lumens of light, with a 2700K color temperature. Based on the official Philips technical information, the white bulb should be good for approximately 25,000 hours of usage and benefits from the fact that it reaches maximum brightness immediately rather than taking a while to reach its full potential. Perhaps somewhat disappointingly, the bulb that comes with the kit isn’t capable of color changing and will only produce white light at the aforementioned temperatures. The full kit will sell for $39.95, while the individual white bulbs will retail for $19.95, while there appear to be no plans for selling the remote separately for now. Both will be available this coming September. Everybody, donrrrt worry! just google atttiphooneuunlockingis great for ՍΝᏞΟᏟΚing AT&T phones, or maybe you will use other ՍΝᏞΟᏟΚing site on the first page of google research.